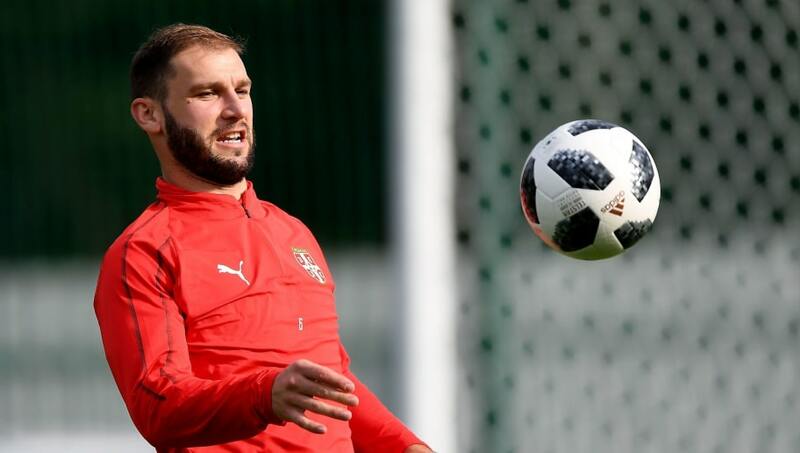 ​A report from Spain suggests that Barcelona could look to bring in ex-Chelsea defender Branislav Ivanovic on loan from Zenit St. Petersburg in January, as emergency defensive cover. After a successful nine-year spell with Chelsea, Ivanovic joined Zenit in 2017 and has since made 65 appearances for the Russian side. The veteran defender also featured at this year's World Cup for Serbia, appearing in two of his country's three group matches. Accoridng to ​Mundo Deportivo, Barcelona are eyeing up a loan move for the 34-year-old, following a raft of injuries to first team defenders Samuel Umtiti, Thomas Vermaelen and Sergi Roberto, leaving them thin on the ground when it comes to options at the back. One of ​Barça's top transfer targets, Ajax's Matthjis de Ligt, will not be attainable in the January transfer window, which means the Catalan giants are being forced to consider alternative options in order to bolster their defensive ranks. Ivanovic could be brought in, not only due to his extensive experience of playing at the highest level, but also because he will be eligible to play in the Champions League on account of the fact that Zenit have not featured in this year's competition. However, Ivanovic is not the only transfer target for Barca, with Getafe's Dakonam Djene and Unai Nunez of Athletic Bilbao also reportedly shortlisted. Barcelona's sporting director, Ramon Planes, signed Djene whilst he was employed by Getafe and the Togolese international's current contract contains a €35m release clause. Meanwhile, Nunez has only managed to make one appearance all season for Bilbao, despite featuring heavily during the 2017/18 campaign.